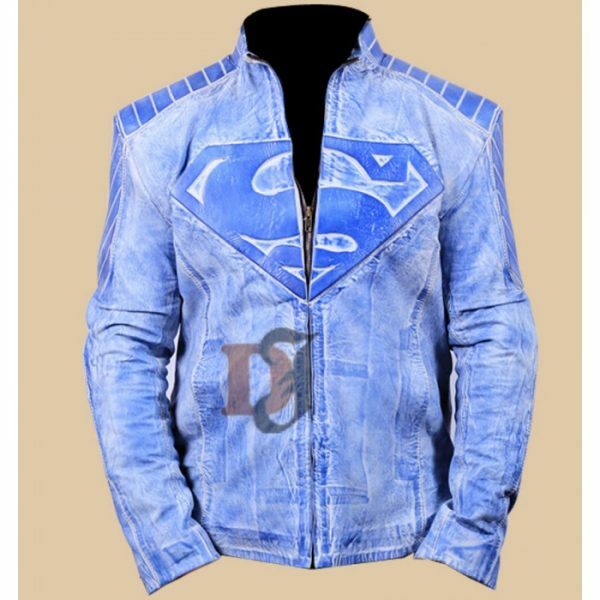 This jacket is made out of 100% pure leather. 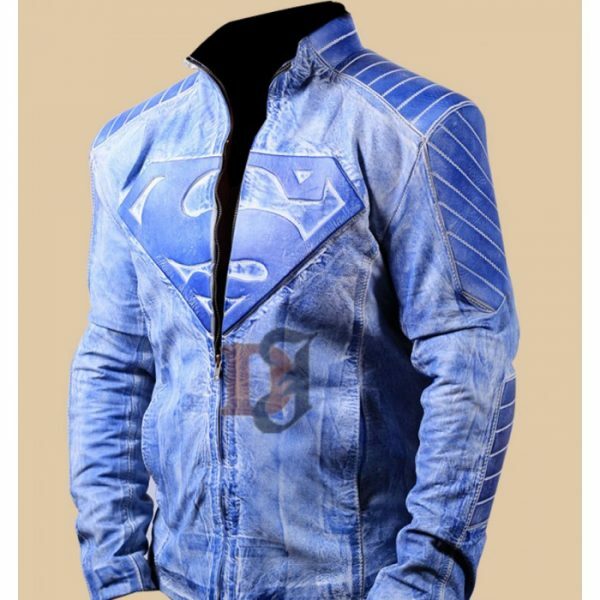 There is a superman logo on chest height for that gives it a branded look. 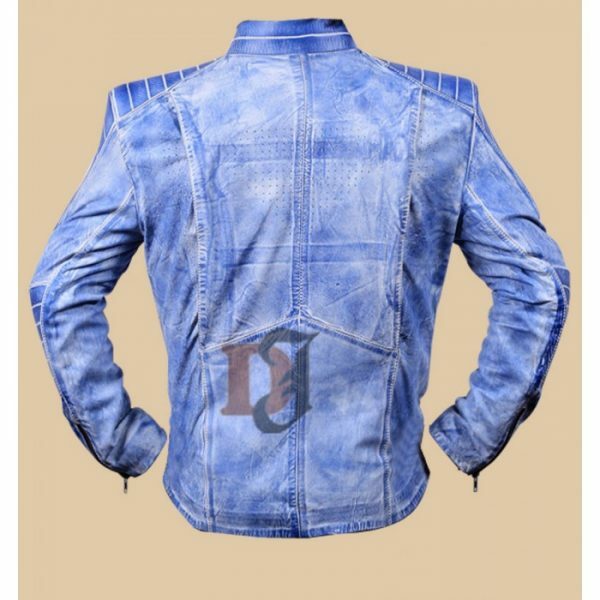 It has YKK styled zippers present on the jacket front. Ykk button closure gives it a new look of fashion and trends. 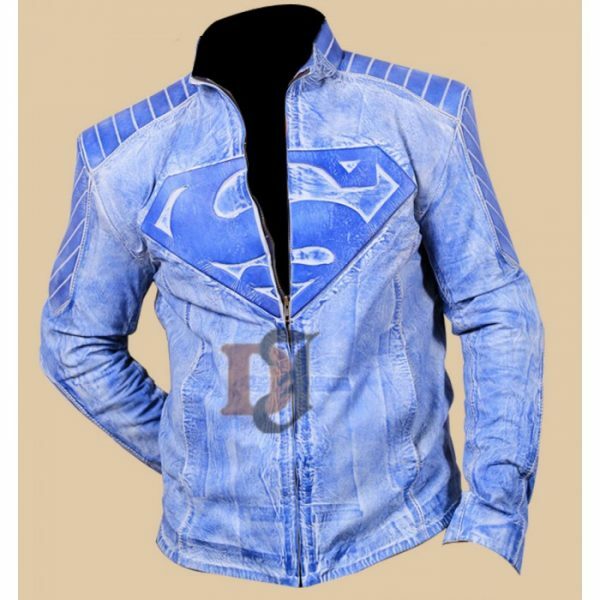 Superman Movies Blue Distressed Leather Jacket comes with blue colour, same as the picture depicts. It was out of waxed leather.